Performance, fixed income, options, multi-currency and management reports. Simple to run and easy to edit. Customize any report, easy peasy. Portfolio reports can be customized by selecting report sections from a library of hundreds of data sets. Just drag them onto the page into the correct section. 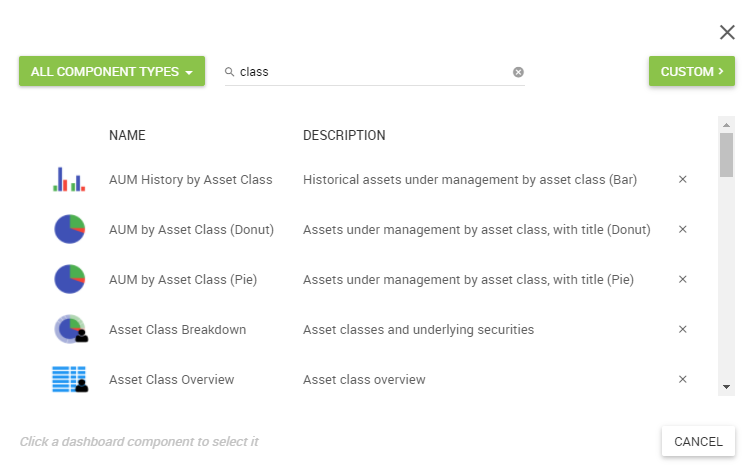 FinFolio has preconfigured templates for returns, index comparisons, asset classes, income projection, top holdings, and many more. Every data type has numerous display options. Pie charts, bar charts, line and area charts. Detail and summary tables plus more exotic displays like multi-level pie charts and heat maps. Never be stumped by a client again. Show detailed analysis for each calculation right on the report. Justify every number, from rates of return to tax calculations. Compare performance to blended indexes in tables and charts. Show return vs. risk graphically with attribution so clients understand all the value you provide, not just the return. Accounts can be owned by more than one client and household with ownership and percentage splits. Great for partnerships and other tricky estate planning vehicles. Reports can be printed to PDFs with beautiful themes. They can be uploaded automatically to your client portal, sent securely to clients via e-mail, or physically printed and mailed. Flexible householding for complicated clients. FinFolio has households with strategies to complement your clients and accounts. Arrange the relationships into something that matches your investment strategy without modifying your custodial accounts. FinFolio also helps you track your team. 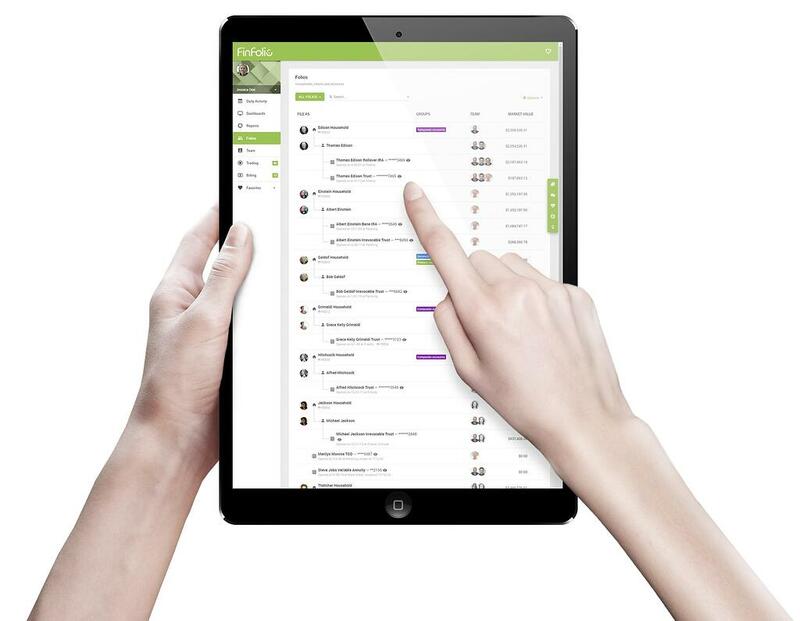 Attach the responsible team members to each folio and always know who owns each part of the relationship. See clients added/lost and how revenue has grown or shrunk for your producers.